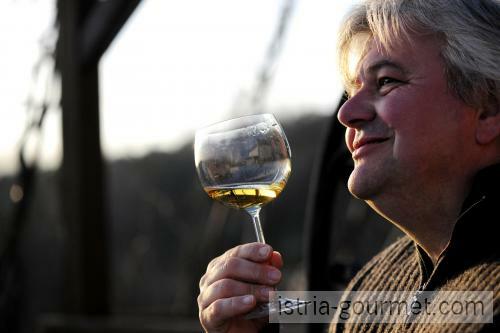 Note from the editor: We are pleased to report that three prominent Croatian wine professionals, Željko Bročilović Carlos, Darko Baretić, and Zoran Vodopija, have initiated a blog called “Vinska Prica” – or Wine Story – in which they will regularly contribute wine reviews and other wine-related content that celebrates the wine and culinary culture of Croatia. Below is a review (published on August 19, 2010) of the 2008 Malvazija “Sveti Jakov”, translated (a rougher, less cohesive translation is automatically available for all posts on their website) and presented for your information and enjoyment. Region: Western Istria wine-growing region of north coastal Croatia. I must preclude this review by saying that few words or descriptions can fully capture the style or characteristics of this wine. You must simply try it and experience it yourself! What you will find in the glass goes so much deeper than words can describe and stands as a sort of homage to nature and a love of the grapevine and the land in which it grows. On the nose the wine is clean and very intense, infinitely complex, and fine, yet it still shows youthfulness and vibrancy. While I’m not a big fan of high alcohol white wines, there is nothing about the aromas of this Malvasia that troubles me. The bouquet is dominated by an enormous fruitiness, especially peach and apricot, followed by citrus, ripe pineapple – a tropical fruit basket. Once the wine opens up a bit, trace notes of Mediterranean herb (rosemary) and acacia flowers emerge, along with nuances of quality wood and spices. All the while there is an unobtrusive note of macerated grape skins that is nicely integrated and discreet. On the palate the wine is dry yet broad in a warm and almost oily way (due to high alcohol), with a fully body, fresh character, and very long finish. Gentle tannins (from extended skin maceration) lend structure and bind together the wine’s incredible complexity and intensity of fruit. These fruit flavors dominate and last for a full minute after tasting them. It appears that Malvasia Istriana reacts well to extended skin maceration. Certainly extended maceration is one of the more successful techniques that distinguishes this variety. Even if you’re not a supporter of this style, the elegance and precision of this wine will not leave you indifferent. 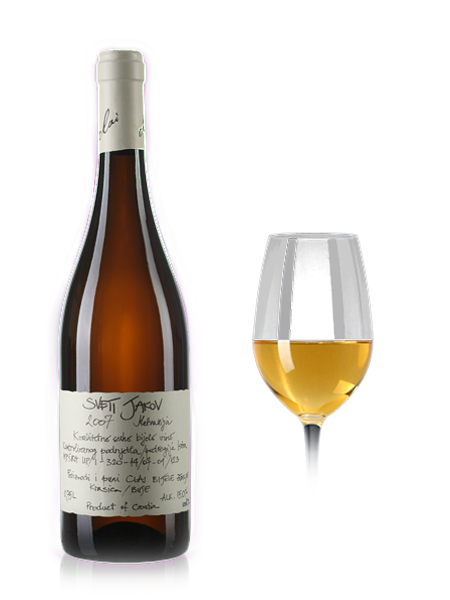 The Clai 2008 Malvasia “Sveti Jakov” is a wine of excellent quality. Tender and harmonious, it seems to have been created as a companion piece to series of delights. But I have to admit, after a stressful day I much prefer this wine as an “object of meditation” rather than a quick quaff. 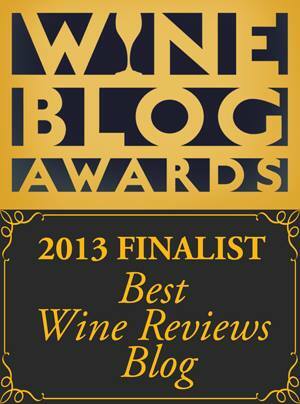 If there is any criticism of this wine, it is only that the wine is exceptionally strong and high in alcohol. Fans of this style will run into trouble if they drink too much of it, which you will be tempted to do.